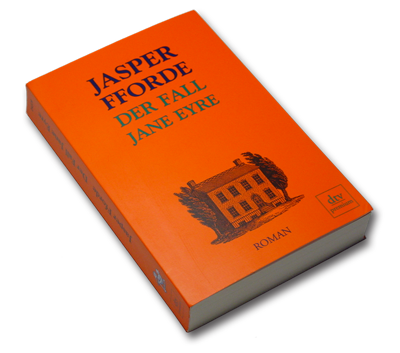 Published by DTV in January 2004: Der Fall Jane Eyre. (Translated: The Jane Eyre Case. Pronounciation: 'Der falle Jane Eyre') It has a natty orange cover with a picture, one assumes, of the Bronte residence. First edition print run: 8000 copies, 2nd printing: 6000 copies, 3rd printing: 3000 copies. For a link to the German publisher's site, click HERE 380 pages.